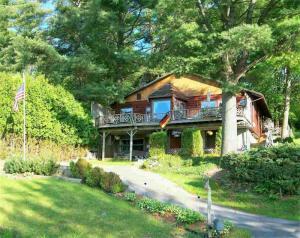 Featuring a Large Inventory of Beautiful Lakefront Homes & Scenic Adirondack Properties Located in New York State. New properties are being added all the time. Be the first to know by signing up to receive email alerts from this search. 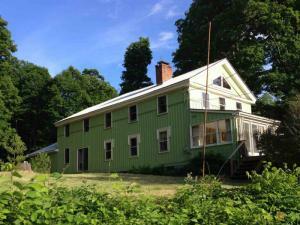 Sacandaga Riverside Lifestyle B&B or Perfect Family Complex Uniquely tiered 3.7 acres making a beautiful & serene setting w/340' on river. Stately white pines, 2 ponds & stream compliment the breath taking backyard views. 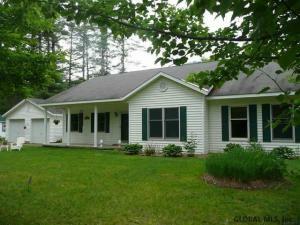 Custom 3 BR 2BA very good condition home, gourmet kitchen, liv rm w/gas stove open to river rm, din rm-many features. 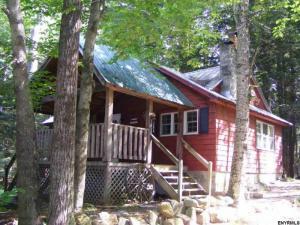 3 renovated cabins(www.thecabinsinhope.com) Upgrades all aspects of property. Turn Key! Busniess assets can be purchased. Selling below appraised value. 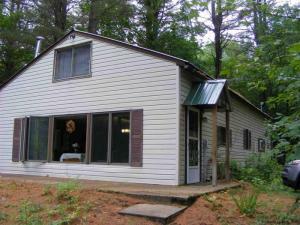 Lakeside 2 story 3 BR 2BA furnished cottage situated on +/- 0.22 acre prime lot with very scenic lake, mountain and sunset views! Kitchen, din area, liv rm with knotty pine & sliding doors to large enclosed porch, side deck to access the lake and spacious side yard. 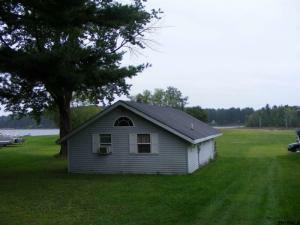 89' of nice lake frontage with dock. 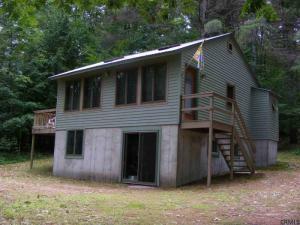 Lakefront 3BR 2BA furnished, log sided contemporary home. Cathedral ceilings, knotty pine, front and back decks, Anderson windows, full walk out basement has family rm, laundry & workshop. 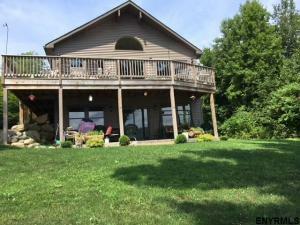 Nice lake views with 50' lake front that has stairs, dock and mooring. Parking front driveway and back yard. #2458 on south & #2470 on north. 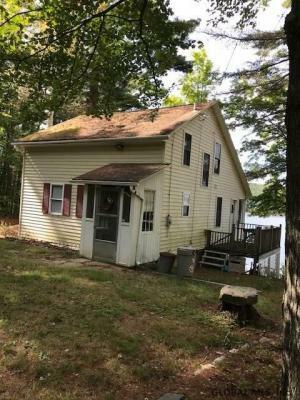 Lakeside 2BR 1BA Camp open floor plan, large sun room w/knotty pine ceiling Very nice lake views including Scout Island & the bald eagle has been seen. Sprawling yard leading to 50' lake frontage. Comes furnished, new shed & possible owner financing. Incredible Mountain Views Borders State Land, 2 big ponds(8' deep) & 1 small, pond on 10.2 acres, Custom Adirondack rustic 2 BR(1 double loft) home w/ craftsmanship stonework & built with 16" thick walls for energy efficiency, garage by road, 1300 sq ft of covered deck, carport under house,woodshed, greenhouse by pond, fruit trees, eagle sighted. 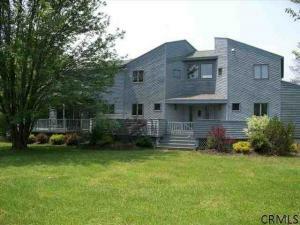 Very good condition furnished yr rnd 3R 2BA double wide home in Bay Shore Park with lake views. Master BR is a suite, kitchen w/counter open to liv & din rms, back deck, 2 porches, 2 story shed, spacious lot 50' beach with dock slips and swimming. Own a share o corporation -easy living at the lake HOA covers lake permit, taxes, water, common area use, snow removal of road. Snow mobile trail bordering park. 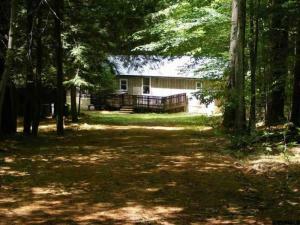 Great Sacandaga Lake Access Private setting Adirondack furnished cottage 2BR 1 BA cathedral ceiling, open great room with gas free standing fireplace. Many new updates including walkout basement, windows, septic, siding, roof and more. 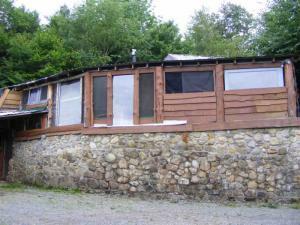 Nature and wildlife lovers retreat. Day beach association short drive away. 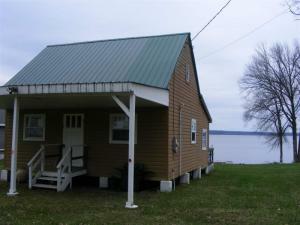 Lake Access 2BR 1BA Cottage located in quiet setting.Large liv rm w/ fireplace and gas stove open to din area and kitchen. Large covered deck to relax! Full basement. 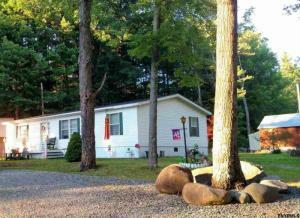 Short drive to 10' lake access in scenic lake setting. 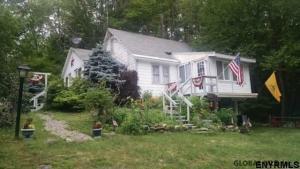 Private Setting 3BR 2BA Turn Key furnished mobile home set back on 1.18 acres. Great room offers cathedral ceiling liv rm, kitchen & din area with wood beams, laundry rm. 2 decks & shed Metal roof, windows & updates +/-10 yrs ago, has tie downs. Close to public lake area. Wired for cable at pole.